Enhance your weekend looks with the Lotus men’s Seymour shoe. 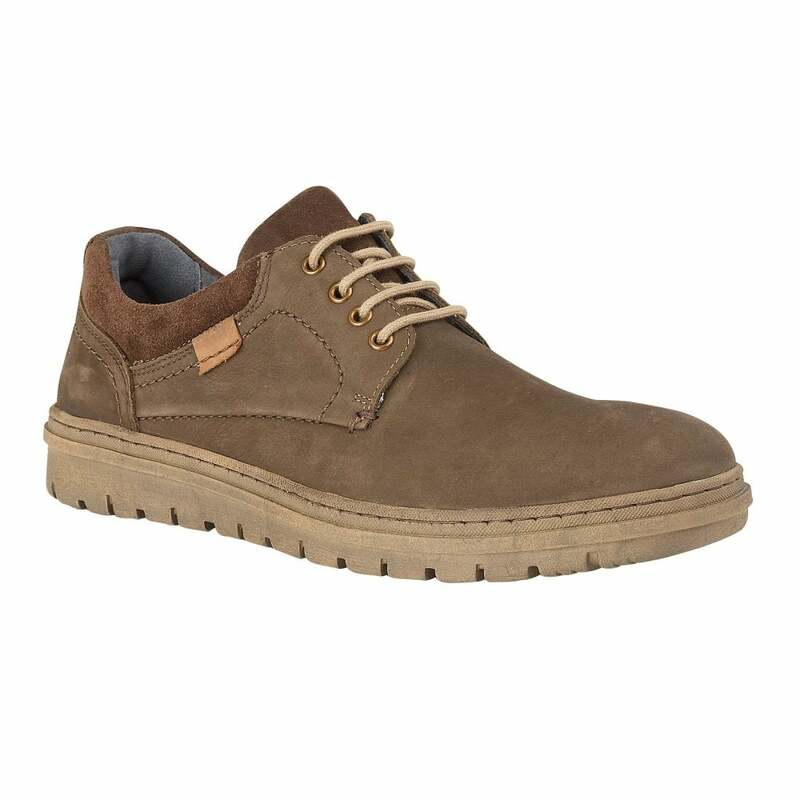 This men’s lace-up shoe encompasses a khaki imi-suede upper that is enhanced by a contrasting padded ankle collar. This casual and understated shoe also encompasses a robust sole unit that aids grip.